As you know by now, ODU was on the bubble and didn't make it to the 'Big Dance' that makes up the NCAA tournament. Instead, they were the #1 seed for National Invitation Tournament...and they played with a chip on their shoulder with a little something to prove to the NCAA voting committee. Being the #1 seed meant that all three games were held at home -- at The Ted. Each game was great and each game was better than the last. The first game: a run-of-the-mill win. The second game: a nail-biter that came down to the last 4.3 seconds. 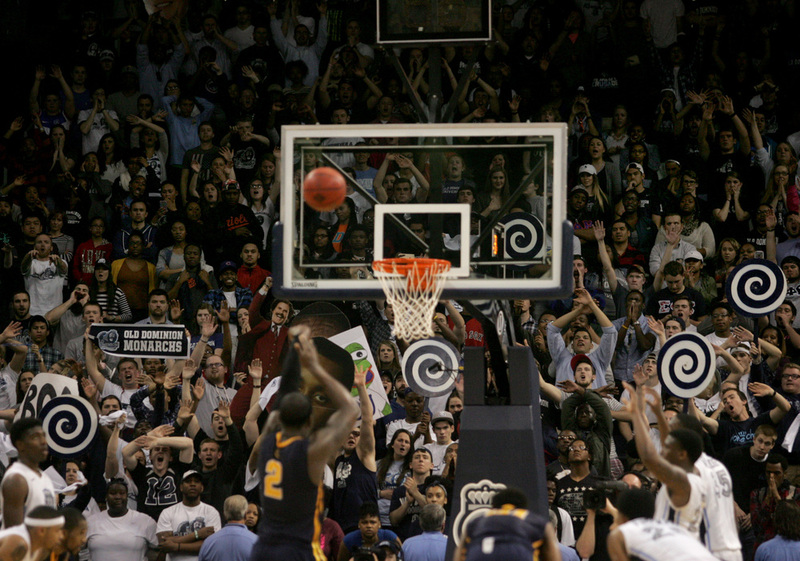 The finale game: What else, a buzzer beater from nearly half-court that sent the arena into pandemonium. I don't normally boast about my photos, but I was more than thrilled to see my photo of Trey Freeman, the man who nailed the last-second heave, go viral. I'd say let's do it again next year, but I don't think my heart can take it.